New to 2017! 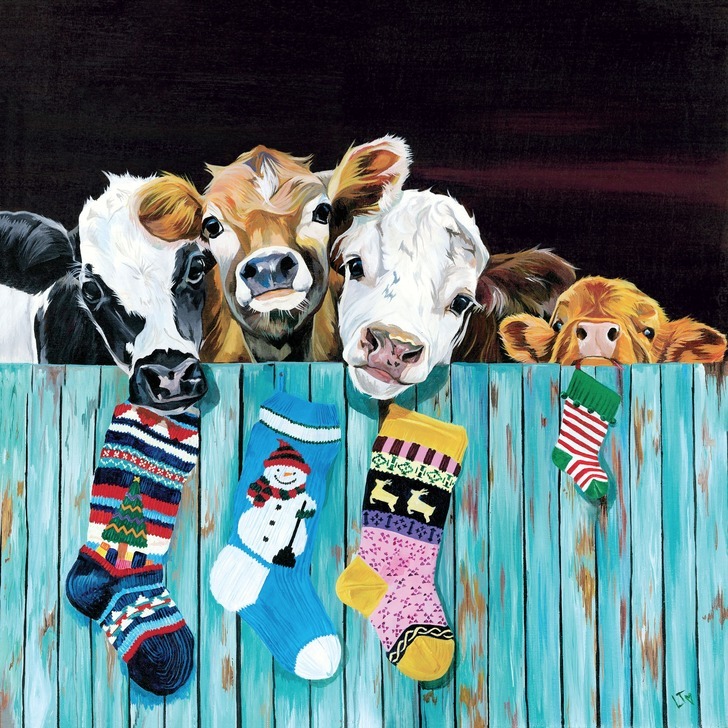 Four cheeky calfs hanging their stockings and eagerly awaiting Santa Claus. Not everyone can quite reach! 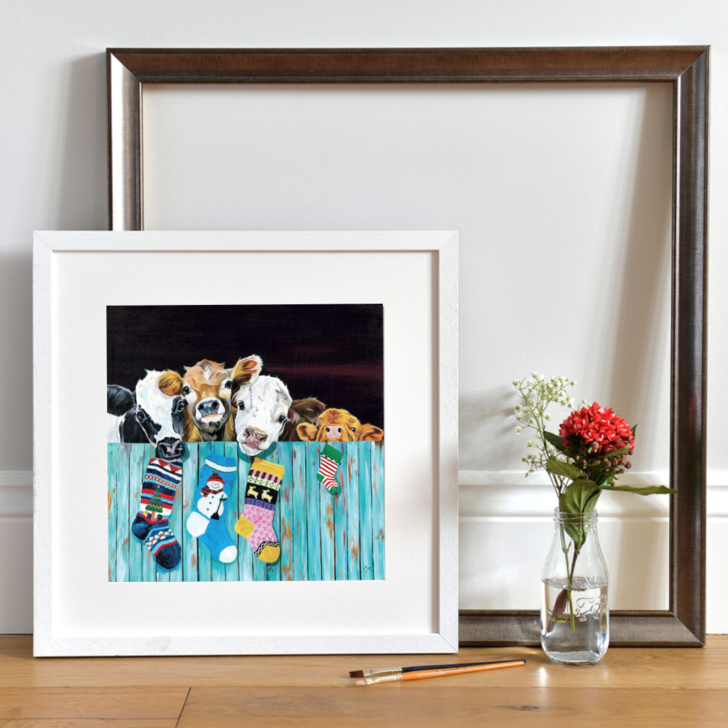 Perfect for families with children or for anyone who loves to laugh!